In the last post, I referred to the undercurrents of authenticity running through an edited volume I’ve been working on, Biographies of Drink. To mark the publication of this volume, I thought it would be good to reflect on the chapter that tackles the problem of authenticity head-on, as a means of analysing the design strategy of the J D Wetherspoon pub chain. “More Than Just a Shop That Sells Beer: J D Wetherspoon and the Pub Authenticity-Value Aesthetic,” by independent scholars Chris Rountree and Rupert Ackroyd, traces the historical development of the interior decor of pubs in Britain from the mid 19th century. 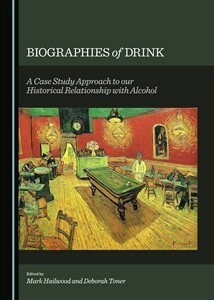 It highlights how in different time periods design strategies deliberately invoked feelings of nostalgia for past materials and forms that featured in pubs and that these strategies contributed to the construction of a shared understanding of what constitutes “authenticity” in a pub setting. In the late Victorian era, for instance, pubs typically mobilised eclectic styles that referenced the reputation for gaudiness held by early 19th century gin palaces, alongside the partitions and nooks understood to be typical of early modern inns. What is striking here is that this design strategy was less about directly imitating known decorative features than about invoking the emotional states associated with these past drinking places. 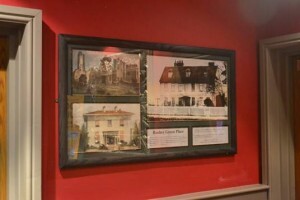 While it is difficult to gauge the extent to which pub-goers of the late Victorian period actually experienced the emotional states the pub design and decor were aiming to stimulate, Rountree and Ackroyd were able to directly investigate the impact of more recent revival of what they call the “Pub Authenticity-Value Aesthetic” on consumer experiences. Many contemporary J D Wetherspoon outlets were found to mobilise many of the features of the Victorian era pub, mixing eclectic styles with specific historic connotations. Partitions creating more intimate spaces in the large venue. 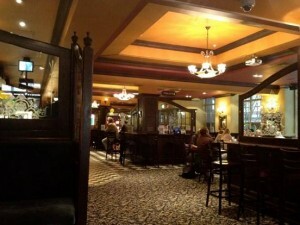 The Shakespeare’s Head, Kingsway, London (J D Wetherspoon). Photograph by Christopher Rountree and Rupert Ackroyd, 2014. They also sought to mitigate the homogenous nature of many chain-style outlets by including numerous explicit references to the history of the locality in which each pub was based. In this way, both broad, even imagined, and highly specific, local referents to the past are used in attempting to invest Wetherspoon pubs with the feeling of authenticity. Illustrated displays of local historical information. The William Stanley, High St, South Norwood, London (J D Wetherspoon). Photograph by Christopher Rountree and Rupert Ackroyd, 2014. More mixed, however, was the extent to which these uses of the past to construct Wetherspoon venues as authentic were actually transmitted to customers’ experiences. Several customers that Rountree and Ackroyd interviewed explicitly referenced the interior decor as helping particular Wetherspoon venues to feel like “proper” pubs, whereas others viewed them like any other chain — often cheap and convenient, but interchangeable and culturally nondescript. I think this raises lots of interesting questions for the foods and drinks we’re investigating in this project, about how different layers or narratives about the past can be intertwined with one another and with associations of place and locality, in the construction of authenticity. The different ways that such constructions are received, too, by different people is a complex process that will need careful unpicking. Rupert Ackroyd is a sculptor who lives and works in London. Christopher Rountree is an artist and writer based in London.